In her storied career, Atlanta forward Delisha Milton-Jones has accomplished much. But now, the 17-year veteran is quietly closing in on a WNBA career mark for most games played. 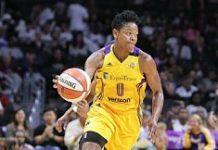 Going into the All-Star break, Milton-Jones had played in 488 games – eight shy of the league record 496 that Tina Thompson had notched before retiring in 2013. A few weeks ago Milton-Jones eclipsed Katie Smith’s record of 482 games, and now has a chance to become the all-time games-played leader next month. Milton-Jones, who turns 41 in September, is taking it in stride. 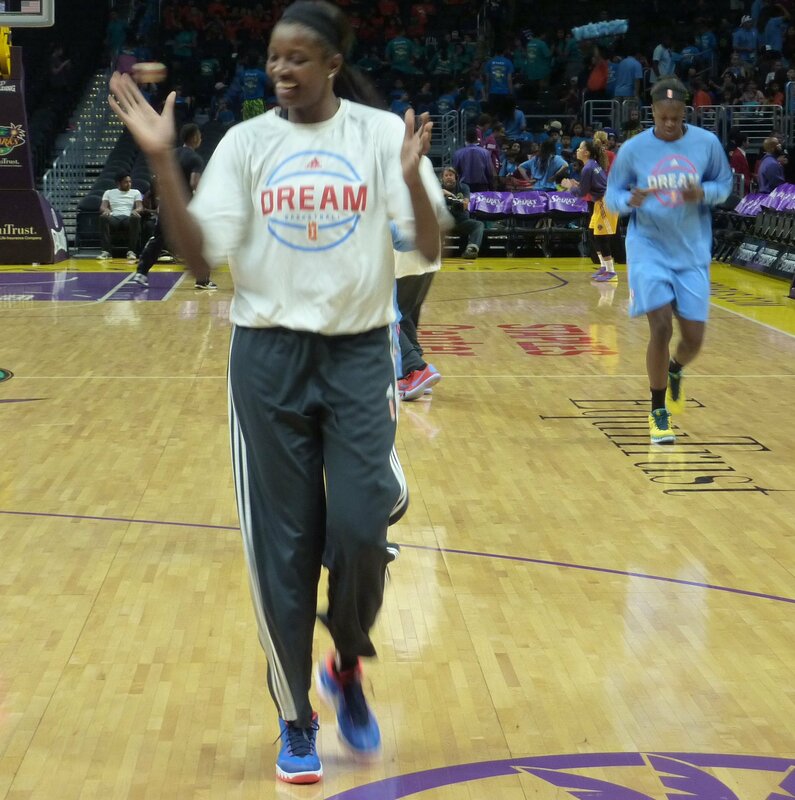 Traded to the Dream from New York in 2014, she missed the last several weeks of that season after tearing her Achilles tendon. She sat out a few games this month as a precautionary measure, but returned to the court last week to help a team that has been struggling this year. Milton-Jones, center, has a regimen of self-care that she says keeps her young. Photo by Sue Favor. 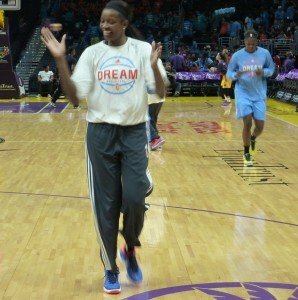 An All-American and Wade Trophy winner at the University of Florida, Milton-Jones was drafted fourth overall by the Sparks in 1999, where she helped the franchise win two championships. 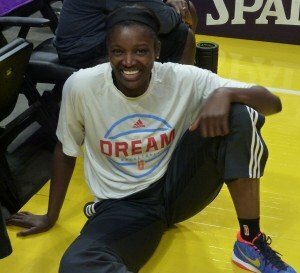 She was traded to the Washington Mystics in 2005, and traded back to Los Angeles in time for the 2008 season. Milton-Jones spent time with the San Antonio Stars in 2013 before signing with the Liberty. She ranks tenth in the WNBA in all-time scoring, with 5537 points at the moment. Milton-Jones gets teammates pumped up during pre-game warm ups. Photo by Sue Favor. She said going back to the Peach state was an unexpected blessing. 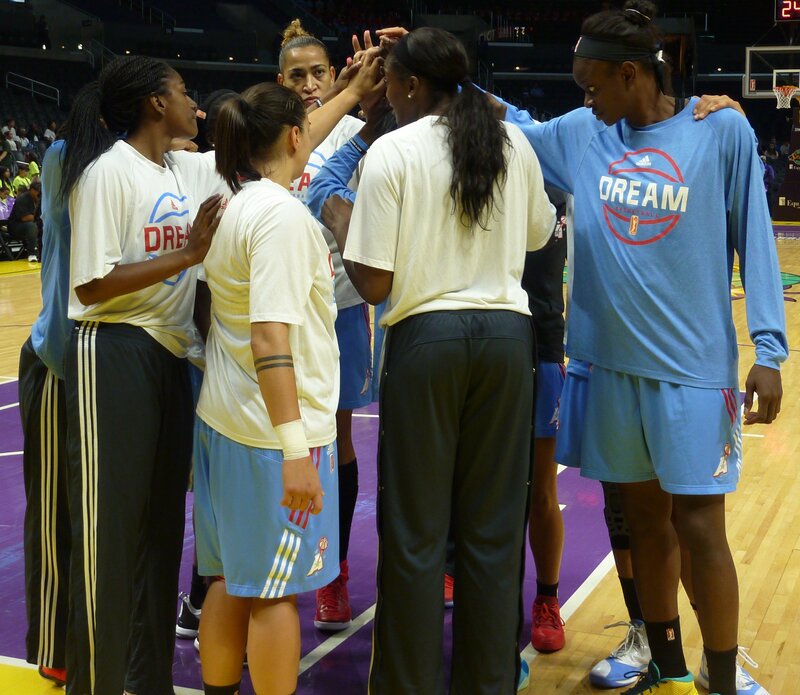 As the oldest player on the team, Milton-Jones’ role has changed to that of mentor, advisor and second mother. She said she enjoys it. Milton-Jones has kept her vitality longer than most. She said she doesn’t take being on a WNBA team for granted. The secret is self-care, according to Milton-Jones. Games-played record or no, Milton Jones said age has given her priceless perspective on basketball.